New York, NY, November 14, 2017 --(PR.com)-- Credit Benchmark, the leader in bank-sourced credit analytics, has announced the appointment of William Haney as CEO, effective immediately. Mr. Haney will be based in New York. Credit Benchmark co-founder Donal Smith, who has served as CEO since 2016 will return to his role as full-time Executive Chairman. 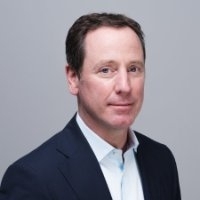 Before joining Credit Benchmark, William Haney served as the CEO and director of BISAM, leading the company's rapid expansion into North America and the acquisition of FinAnalytica, culminating in the successful sale of BISAM to FactSet Research Systems in March 2017. Currently, he is chair of the board of alva, a leading provider of integrated reputation intelligence and a director of Big Win Philanthropy, a foundation that invests in children and young people in developing countries. He formerly led several divisions at Thomson Reuters, the global information services company serving asset managers, bankers, and corporations, and was a consultant for both PricewaterhouseCoopers and The Services Group, advising large companies and developing countries on growth strategies. William received a BA in Economics from Northwestern University and an MBA in Finance and Public Policy from The Wharton School, University of Pennsylvania. Based in London and New York, Credit Benchmark is a financial data analytics company offering an entirely new source of credit risk data: the credit risk assessments of the world’s leading banks. Credit Benchmark was founded in 2013 and is backed by Index Ventures and Balderton Capital. The company offers an objective, dynamic and forward looking measure of risk that reflects the aggregated views of multiple banks that have direct exposure to the underlying entities. Its coverage includes sizable and granular universe of unrated entities where no market-accepted credit metrics exists today.